Although I wrote everything I know about squirrel issues for this website, oftentimes a problem with squirrels in the attic is beyond the scope of the do-it-yourself homeowner to solve. I have found a professional company in Oak Forest, Illinois that handles problems with wildlife. 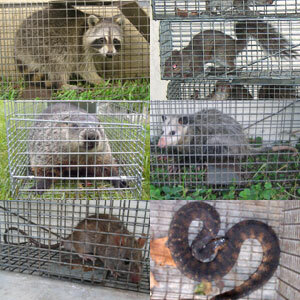 Accurate Pest & Animal Control has access to tools, techniques, and experience that help them do a far better job at wildlife removal than a non-experienced homeowner could. They possess licensing that allows them to do certain types of work legally, that non-licensed homeowners in the state of Illinois are not allowed to do. For the welfare of your situation, and the squirrels, in some cases it's best to hire a pro. There are good companies and bad companies out there. I've done research on such companies, to get to know them, and feel confident recommending their services. I therefore recommend a company called Accurate Pest & Animal Control which services Oak Forest, Illinois. If you have a squirrel problem, or any other conflict with a wild animal, and live in Oak Forest, I am confident that this company, Accurate Pest & Animal Control, is the one to call. I asked the company to describe their service range, and they said this - We sevice all of the south side of Chicago and Joliet, and the towns of Oak Lawn, Evergreen Park, Burbank, Bolingbrook, Palos Heights, Orland Park, Tinley Park, South Holland, Chicago Heights, Hammond, and more. Accurate Pest & Animal Control operates 24/7, so don't hesitate to call at any time to discuss your wildlife problem, and schedule an appointment for same-day or next-day service. I've been reading your website all morning. I have a serious problem on my porch with squirrels. We have screened in the porch (they chewed new holes. We replaced the insulation and all the wood, they have come back to chew it up. I've used traps (caught about 6 in the last year) and I have also made nasty peanut butter balls to make them sick... Nothing is working and now they are making new holes in the brand new porch ceiling. I cannot afford an exterminator but I truly need to be rid of these pests.. I live behind a school so a gun...is not a logical answer. In going through your site I found out the repellants I've been trying are useless thank you. At this point I'm not sure what else to do. We keep patching the holes with more wood but they are eating through it, and it's pointless to rescreen the places they have chewed through until we are rid of them. I know most of the info is on your site but since this is outside...do you have any suggestions I can try? If you have a squirrel problem in Cook County Illinois, or any other conflict with a wild animal, I am confident that we can solve it. We use humane methods when dealing with Oak Forest wildlife removal situations. Squirrel Control Oak Forest. Our company is fully licensed and insured in Illinois. Call us any time at 815-513-0590 for a price quote and to schedule a same-day or next-day appointment to solve your squirrel problem in Oak Forest.